ONLINE EXCLUSIVE! These replacement coils for the Aspire Tigon come in two different resistances and an easy push-pull replacement. Aspire Tigon coils come in two different resistances for different styles of vaping. Use the 0.4ohm coil for more vapour and a direct-to-lung hit or the 1.2ohm coils for a tighter draw with mouth-to-lung hits. Learn more about mouth-to-lung and direct-to-lung vaping here. 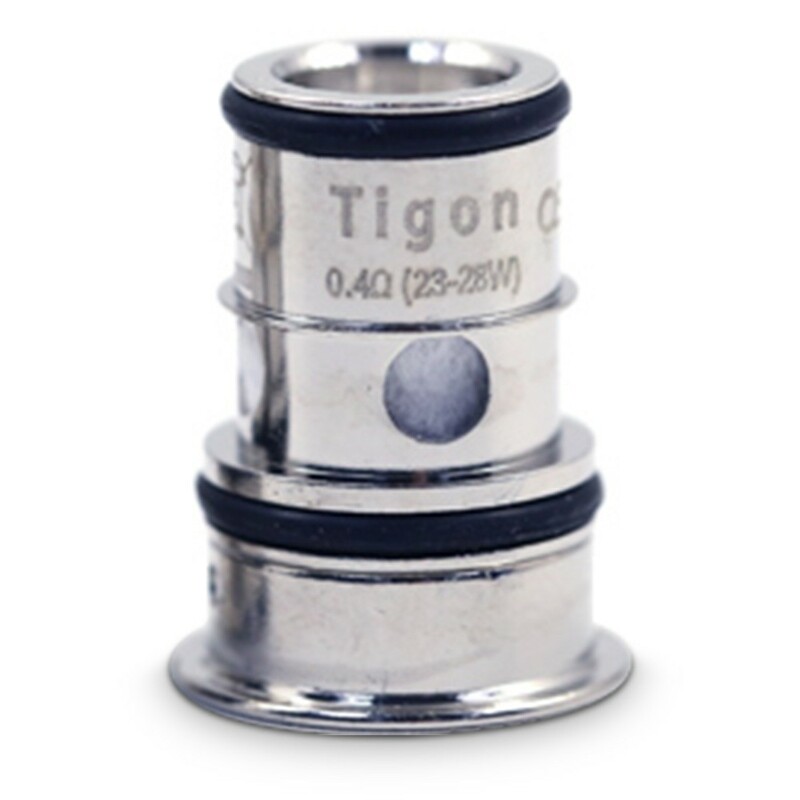 Aspire Tigon coils come with push fit instead of screws. This designs means you can simply pull the coil off the bottom and replace it with a new one without having to open the tank and expose the e-liquid. Inside the tank, a spring loaded sleeve seals the wicking holes while the coil is being replaced to eliminate leaking. This makes changing the coils a quicker and cleaner process. The coils are made from high-grade nichrome wire for great flavour. As with all coils, it’s important to prime the device before using it for the first time. To do this, simply drip a little e-liquid into the coil before using for the first time. After attaching to the tank and filling, allow the tank to stand for a few minutes before using.